Elegant Floor Service / Foxclark Acquisitions is a contractor based in Silver Spring, MD. We don't have any additional information about Elegant Floor Service / Foxclark Acquisitions. I would recommend them for your newsletter and to my friends! The team was very professional. We are happy with the results. I've owned various homes and have done extensive remodeling in all. By far, Elegant Floor Service has been the worst company we have ever had the misfortune of dealing with, ever. They refinished our floors. I think that they were helpful, and they did it timely, and their price was good. I would definitely give them an A. They were very helpful. I would highly recommend them. We just had very complicated old floors that were being redone, and they did a nice job. I'd give Elegant Floor Service an A+. They were neat and tidy, prompt—all the good things. The floor looks wonderful. I'd give them an A. I would highly recommend them and I did recommend them to the people who bought our house. It was good; they came out, they did the job. There was some damage caused to the house—it wasn't their fault, but they put a nail through a pipe and water started leaking a few months later—flooded the basement. Wasn't their fault; I would grade them a B+. They did everything I asked in the exact time that they said they would. Overall, I would give them an A.
I have mixed feelings. It started out OK, and then they rushed through the job. Pushing everything to the one side, and not very respectful of dust free areas and things like that. That's why I have mixed feelings. I would grade Elegant Floor Service a C. No customer service. I think the punctuality was good. They did a great job, and they were quick, and they got it done in a time frame. They just did the job correctly and promptly, and were very responsive. I would give them an A overall. They were fabulous, they did such a great job. We are going to hire them again actually. I would grade them an A+. I couldn't believe what they did what the old hardwood it was gorgeous. They really did a great job. I would recommend them. We are actually going to hire them again to do a larger section of our house that they quoted. They were great. Did a really good job. Very professional. Very clean. So, they were good. I'd give them an A. They were just very friendly, quick to respond, reasonably priced. I'd give them a B+. We were told one thing by the sales guy, and then the guy that came to actually do the floors gave us a different recommendation. I liked the finished product, and it was fast. I'd give them an A. It was very good. They did a great job. I liked the thoroughness. I would give them an A+. They had a family, a son and his two parents, who did the work for me. So, that was the key to the success. They had a really good employee. I was very happy. It was a good experience. They did a good professional job; nothing sticks out. I would grade them an A+. Very customer service friendly and everything. A+. They showed up on time and did a great job. I would grade them an A—definitely. 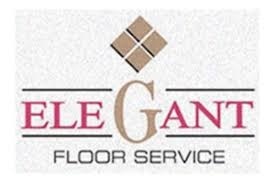 I already have recommended Elegant Floor Service. My floors look exactly the same as before they came, and I tried to get them to refund me the money, and they refunded me very little. I thought they were terrible. They deserve a poor grade. They didn't even have people that train people—the people that were there, whom they sent back to rectify the problem, supposedly—didn't know how to use the equipment, and they said they had never been trained. They were clean; that wasn't a problem. They were punctual. They should've refunded me every single penny. I think that they were helpful, they did it timely, and their price was good. Definitely an A. They were very helpful. I would highly recommend Elegant Floor Service. It was fine; everything was great. No general complaints. I'd recommend. I would say negative. So initially they came in and they did the floor and they were fine. Then, four or five months later I started working from him, and so I noticed that there was like two big squares that were completely bare that they hadn't been stained. And I contacted the company about it, and he didn't return my calls, didn't return my calls, and then I just happened to catch him on the phone and he basically called me a liar and said, 'Oh there's no way!' and I'm like 'Well, yeah there is because it's right', 'Well, it's because you brought the chair there!' But it's literally kind of right under the edge of my buffet so there's not way to get - unless I was smashing a chair into my buffet constantly, which you would see there's literally no way to do that. Well, and he said he would get with me to come take a look at it and of course that never happened. Never even contacted me again after that. D. It was the owner by the way, it was the owner of the company who did that. I would not use them again. I'm definitely not likely to recommend them.